Wipro BPS Walkin Drive for CA Inter / CMA Inter | Jobs in Chennai & Cochin | 30th November 2017. Wipro is conducting walkin drive in Chennai and Cochin for B.Com Commerce, Graduate candidates for Chennai Location. Here is a good opportunity for the dynamic candidates of CA Inter or CMA Inter to set their career in one of the trending company in India. Individuals who are interested in Wipro BPS Jobs Career cannot miss out this chance. Wipro Jobs is one of the Latest Job Openings in Chennai for commerce students nowadays. Candidates having a good domain knowledge and communication skills can grab this opportunity. Refer our blog All India Jobs for more details about Wipro Walkin Drive. In recent days, getting a job is a complicate things for Freshers as well as Experienced candidates. Therefore, we advise the eligible aspirants to attend the Wipro BPS Walkin Drive on 30th November 2017. Aspirants who are going to appear for Wipro BPS Walkin Drive must refer the Wipro Test Pattern and Wipro BPS CA Inter Model Papers. By practicing these Wipro Placement Papers, contenders can get an idea about how to score good marks in Wipro Online Test. 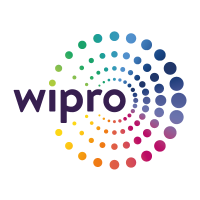 Wipro is hiring the B.Com, Graduates for RTR Process. It’s not an easy task to crack the Wipro BPS Recruitment 2017. Wipro BPS Job Openings is an excellent opportunity for the candidates who possess CA/CMR Inter with 1 to 3 years of work experience. Aspirants are advised to prepare Wipro BPS Interview Questions for freshers to give better performance in the Wipro BPS Interview round. For other IT Jobs candidates are advised to follow our blog www.allindiajobs.in. Education: CA Inter / CMA Inter. Experience: 1 to 3 Years (Articleship experience will not be considered). Must have a good domain knowledge (General Ledger RTR). Good at maintaining excel sheets. Flexible to work 24/7 rotation. Wipro Business Process Services (BPS) is a leading industry with game changing towards nect generation. It has rapidly improving its capabilities to develop a new world class organization in the society. Wipro BPS has developed a deep domain expertise and diversified its business line ranges to Capital Markets, Insurance, Banking, Retail & Consumer Products, Travel & Hospitality, Energy & Utility, Global Media & Telecom Services, Manfacturing and Healthcare sectors. Our culture is to deeply focus on creating a business value and providing the excellent and best outcomes for its clients. Wipro BPS has its own growth prospects, innovation, fair play to provide great work culture to their employees and make Wipro BPS is an exciting place to work. Aspirants who have completed their CA/CMA Inter can attend the Wipro BPS Walkin Recruitment 2017 at Chennai & Cochin on 30th November 2017. Interested canddiates for Wipro BPS Job Openings can walkin directly and even refer their friends about the drive. Check www.allindiajobs.in for more recent updates on Freshers Jobs, Walkin’s, Placement Drives…. etc. Walkin Time: 9:30 AM to 10:30 AM. 1 copy of passport size photo.